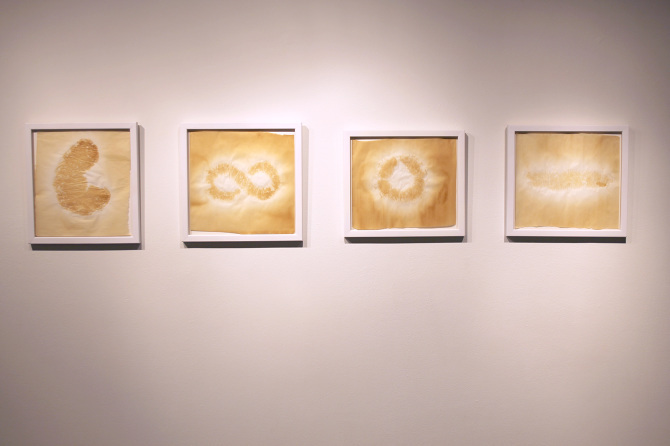 San Antonio-based artist Emily Fleisher literally finds beauty in sliced bread or the semi burnt parchment paper that is extracted from underneath her loaf of bread after removing it from the oven. 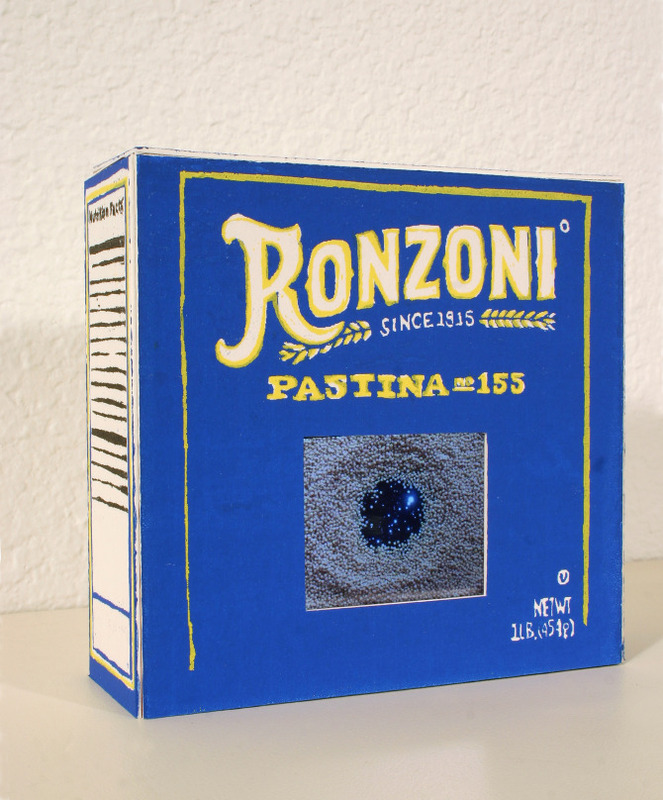 She is reminded of the real constellations in the sky when she opens a box of pasta stars to make dinner and she contemplates the once green acres that lay where her suburban home resides amongst a subdivision of San Antonio where all of the street are still named “Timber” as if in memoriam of the felling that took place. Adult, modern life unfolds for most all in a confined, domestic context. Fleisher is just as much a participant as any, however, her retention of her childlike sensibilities to the wonderment that lies beneath the surface of this confinement allows her to embrace this existence and interpret it via her artwork with a greater and more expansive world definition that reaches as far as our imaginations will allow. It is with great pleasure that Polyglot Gallery, a new pop-up gallery project based out of a house in the Alta Vista neighborhood in San Antonio, announces its collaboration with Emily Fleisher during the On & Off Fredricksburg studio tours February 20 – 21. Come to the domestic setting to contemplate the greater world that simultaneously resides in and transcends domesticity and the modern life. 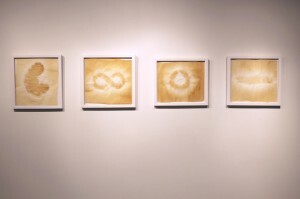 An opening reception for her exhibition, Home Goods, is scheduled for Saturday, February 20 from 2 to 4 PM where the artist will discuss her process and a special guest DJ will spin records inspired by her artwork. 6 x 5 x 2 in. approx. 14 x 15 in. ea.